Category: Other Titles. 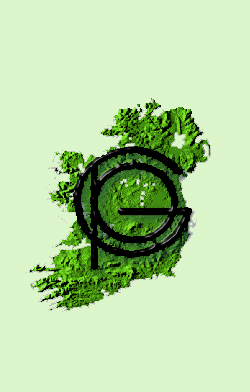 Tags: Clans, Clare, Gaelic. 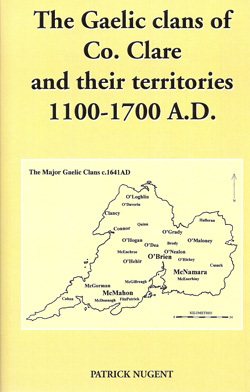 This is a most original book on the ways in which Gaelic society functioned in County Clare from the twelfth to the late seventeenth century. A sophisticated network of territorial divisions ranging from the mór thuatha to the miniscule gort provide evidence of organizational acumen not often credited to our ancestors. The introduction of both the parish and diocese in the early twelfth century marked the beginning of the dialogue between insider and outsider which resonated through the centuries. 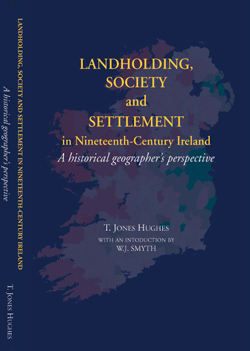 Dr Nugent, a native of Barefield, County Clare and lecturer in historical geography at the Institute of Irish Studies, University of Liverpool, brings both knowledge of and empathy with his native county to this book. He has garnered a rich harvest from difficult and obscure sources and his many original maps show better than words the mosaic that was County Clare. Anyone with an interest in this ‘middle county’ between Connacht and Munster will enjoy his splendid reconstruction of lost worlds.